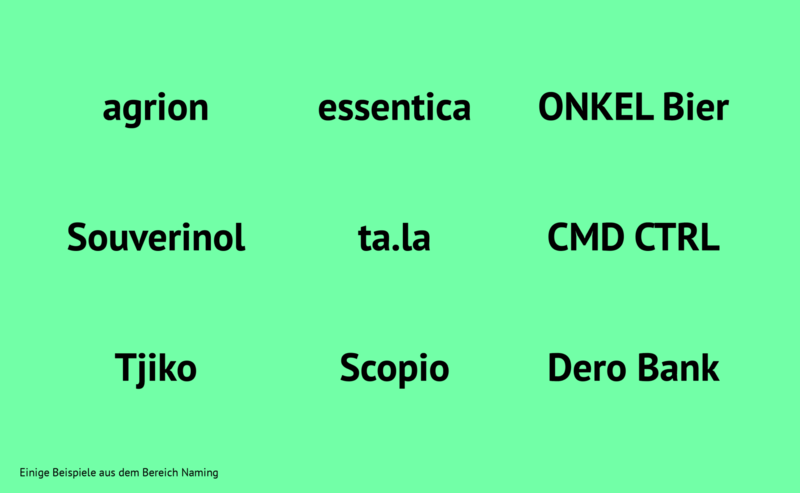 It sounds so obvious, but it cannot be emphasised often enough: A good name is important. No matter if product or company name, the name is often the only thing that stays the same over time. Names are told, recommended and, above all, googled. A little Name-ology – What makes a good Name? The naming process is not purely creative, as often assumed. It follows a clear, guided process that involves many different steps. Similarity searches are part of it, the search and securing of URLs, cultural and linguistic checks in various languages ​​and trademark registration. INTO has already developed names for brands in a wide range of industries, from pharmaceutical products to craft beers to the name change of a bank. Therefore, we know what matters in naming and can safely lead you through this process. The good uncle next door, who brewed his first beer creation as a hobby brewer in meticulous fine work. That’s what Onkel Bier – “Uncle Beer” tastes like – but then again, it always tastes differently. Better beer brewed meeting the standards of the freedom law, as opposed to the Bavarian purity law. Not an anonymous assortment brand, but a product family that reinvents itself with each variety. Uncle Joe, a typical English Breakfast Stout, is standing on the shelf next to Uncle Jupp, a deep golden pale ale with a spicy honey note. Together with the mustachioed uncle Herbert, a rhubarb wheat beer Berlin-style, we have created a nomenclature that is memorable, varied and eloquent at the same time. As a reliable companion for the middle class, the issuing bank aims to realise tailor-made financing concepts for its clients. As one of the most active German issuing and investment banks, the institute is known for paying particular attention to details and providing holistic advice thanks to its extensive legal expertise. A kind of tangible customer proximity that has more of a personal mandate character than a typically anonymous business relationship. Like the accompanying design system, the creative idea behind the naming was based on the relationship between the bank and its customer. 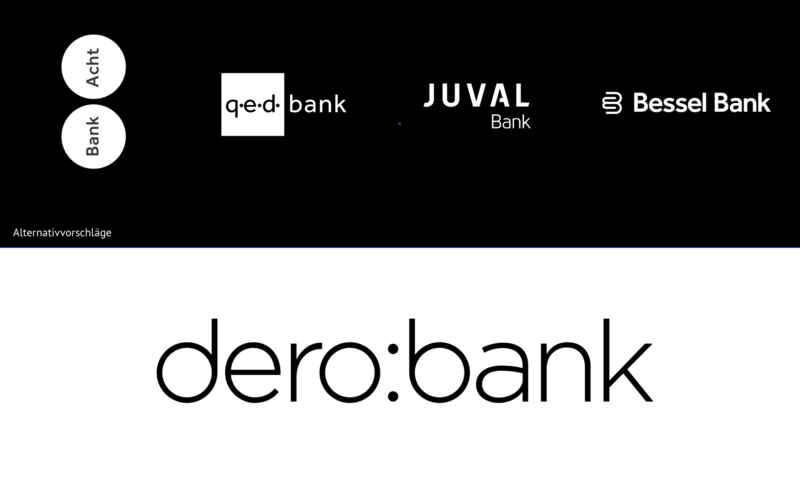 The brand name “Dero Bank”, developed by us, is derived from the old German form of address “Dero …”, which should express especially in the correspondence “your, yours, Hochgeschätzer (= much appreciated)”. Therefore, the brand promise “Your bank” could be implemented almost 1: 1 in a brand name, which is not only internationally pronounceable, but also internationally registered trademark now. An innovative congress format that aims at empowering high-level decision makers to make the right decisions on all matters related to cybersecurity – that’s the task. How the topic of data security can become a growth lever for the entire company’s success was the creative starting point for finding a name. And so the key combination CMD + CTRL (Command Control) has literally become the key to progress and security. The interactive nature of the summit is emphasised directly in the brand name: peer-to-peer exchange and agile knowledge transfer. Together with the linguistically bobbing word and key combination, the naming answers the fragile security issues with a clear control promise for the participants. We are always curious to hear about you and what you are up to. Say hello here!